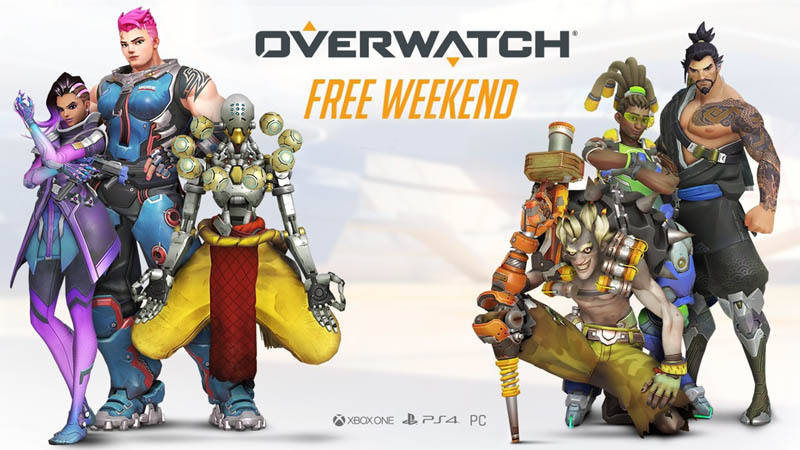 Don't forget, the Overwatch Free Weekend is in full swing! For this free weekend, we're making Overwatch's full roster of 28 heroes—along with the newly released Wrecking Ball—and 18 maps available for play in a variety of modes, including Quick Play, Custom Games, and the Arcade. Players will also be able to level up, earn seasonal Summer Games Loot Boxes, and unlock a variety of different customization options for their heroes. Plus, if you decide to purchase Overwatch after test driving the game, you'll get to keep any progress that you made during the weekend.